It seems Willard Romney is more than desperate for positive coverage lately. His private sector “magnum opus”, Bain Capital, has been portrayed as less than favorable in the press these days, not to mention the secrecy his campaign has shown by withholding tax returns. The fact he would rather have wild speculation about what’s in or not in his tax returns rather than release them speaks volumes. The idea that McCain chose Palin over Willard Romney leads everyone to believe that after seeing these returns, he’d rather commit political suicide and choose the least qualified Vice Presidential candidate in modern history than have Willard on the ticket. I believe Dan Quayle may have been her intellectual superior. But I digress. Willard Romney refuses to tout his record as governor of Massachusetts because, frankly, he wasn’t much of a success there. He did implement an insurance mandate, but this is something he’s not allowed to discuss as the right wing is vehemently opposed to any policies designed to benefit anyone who is not filthy rich. 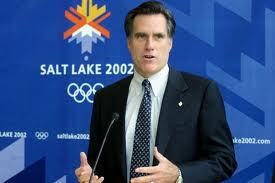 In any event, the only other positive on Willard’s record is the Winter Olympics he helped “rescue” in 2002. In retrospect, it may be just another blemish on his history, a history laden with unscrupulous business practices, bribes, and very obvious Mormon favoritism. The corruption scandal that plagued the Salt Lake City Olympic bid became national news back in 1998. Salt Lake is a relatively small, insular western city dominated by the Mormon Church. This Olympic committee operated in typical Mormon fashion, laden with secret, private meetings. In April 1998, the board attempted to safeguard its aura of secrecy by amending its bylaws to stipulate that any member providing the press with confidential information could be dismissed. A Salt Lake Tribune reporter spoke less than fondly of the business practices of the city. He said, “What you have are a lot of wealthy white Mormon businessmen who watch out for one another. They run the big businesses and they run the state and are indelibly linked to one another through church ties .” The local media are not nationally known for aggressive news coverage or for challenging the power structure (in fact, the Mormon Church owns a daily newspaper and a television station in Salt Lake City). It was very rare for this LDS-dominated community to expose wrongdoing within its ranks. Prior to Willard’s arrival, the 2002 games were plagued by fundraising woes, bribery scandals — and the committee was also heavily infiltrated by Glenn Beck’s Mormon Church. He promised to run a tight ship. No handouts, no freebies for anyone at Willard’s Olympics. He angered local safety officials when his office denied free or discounted tickets to widows and orphans of firefighters who died at the World Trade Center a few months earlier. They cited a policy that barred free ticket giveaways. However, the committee found itself with unsold seats and Romney approved distributing 100 tickets valued at $885 each to Utah legislators….”In less than two months, he went from saying we’re going to run a tight ship to throwing out free tickets to a group of people who could help him politically.” He’d rather give to local Mormon officials than those poor folks who only a few months earlier personally suffered due to the events of 9-11. Willard sought federal assistance for his games via the lobbying contacts he acquired from his vulture capitalist days at Bain. It is more than likely he was the active CEO of Bain until 2001, but cites his role as director of the Olympics as a cover for some of the unsavory practices engaged by the firm. As far as his private sector acumen goes, Willard’s games were anything but a financial success. 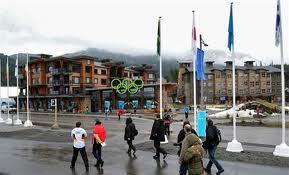 The 2002 Winter Olympics was the most expensive Olympics by far at that time (video). Senator John McCain was outraged by the enormous cost to the American taxpayer for these Olympics and perhaps this led to his decision to pick Palin over Willard. Corporations made out like bandits at these games, especially Mormon-owned companies. Some of the more notables were Marriot (led by close family friends to Romney, and with Romney on its board); Sealy (owned by Bain); Monster.com (where one of Romney’s kids worked as a consultant); GM (whose vice-chair sat on Marriott’s board with Romney) Blue Cross & Blue Shield and Sears (whose directors sat on Marriott’s board) all of which received handsome profits from the 2002 Winter Games. Romney seems to mirror the extraordinary secrecy with which the LDS church conducts its multibillion-dollar corporate dealings, all of which are aided by religious tax perks. The Mormon church and affiliated businesses make untold sums of obscene money which is earned by any means necessary. Willard Romney operates his life a lot like this secretive business. His Mormon cult always takes care of its own and will continue to do so with increased power. The Salt Lake City Olympics is another example of Willard’s proclivity towards unscrupulous and furtive practices rather than the transparency we should all demand from our leaders. This man is dangerous and his past record, when examined more closely, shows us just how dangerous he will be for America. Update: According to TPC, the records from his 2002 Olympics are soon to be released. Journalists have wanted to get their hands on them for years now. Perhaps more dirtiness will be exposed from Willard’s shady business practices? We shall see. Very well done and interesting store!! Thanks Jessie!! businesses and jobs are fleeing in droves . Schwarzenegger was progressive? You have forgotten the big (R) next to his name? Issa started the Grey Davis witch hunt that cost the state a ton of money. Check your history. CA is fact and can be proven as such .